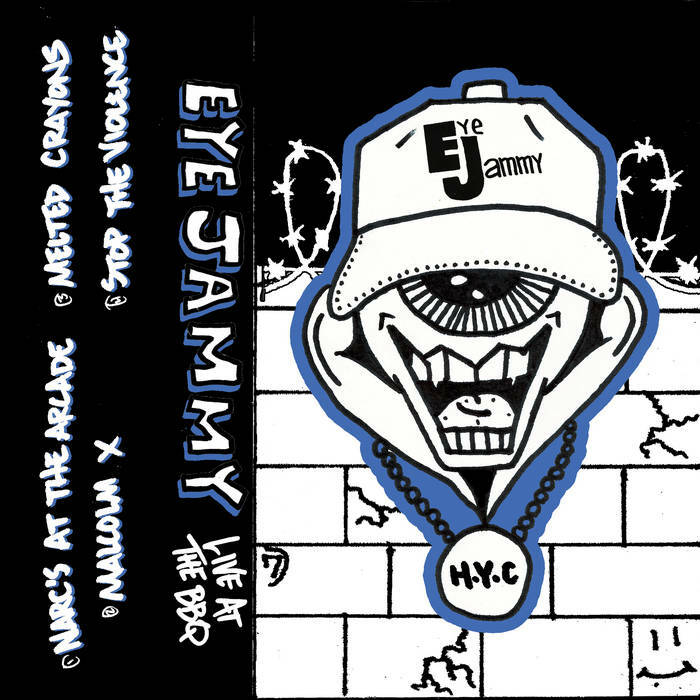 New material from Hattiesburg's Eye Jammy, following their excellent debut cassingle. Live at the BBQ features four new tracks, kicking things off in fine HC punk fashion with the one-two punch of "Narc's at the Arcade" into "Malcolm X". From there, Eye Jammy shake things up a bit, drawing upon the huge funk-punk influence that I picked up from their previous release. While this isn't a full-on "Hollywood Swinging", it's got that same Big Boys/Minutemen/Sach Trust feel of odd rhythms and chord voicings applied to punk, yet in a very straightforward and sensible manner. Each track builds on the previous, resulting in the anthemic closer, "Stop The Violence". Yet another ace release from Hattiesburg's curators of punk, Earth Girl Tapes.